It is unclear how the two vehicles came into contact with each other. According to reports reaching this news site, the female driver complained of back pains. She has since been taken to Peebles Hospital. The driver of the taxi was said to be unhurt. 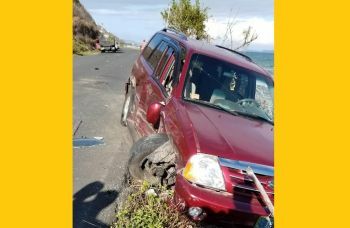 There have been two serious vehicular accidents on Tortola for the past two days. 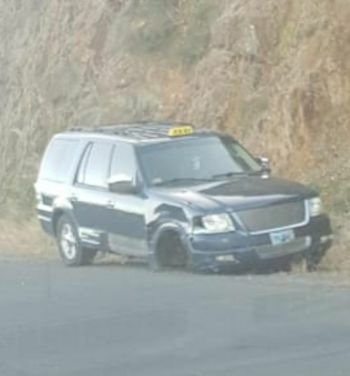 On Sunday April 7, 2019 a male driver lost control of his vehicle and ploughed into a utility pole in the Fat Hogs Bay area. On Monday April 8, 2019 a female driver was injured when she reportedly lost control of her vehicle before slamming into a house and then toppling on Russell Hill.